This credit-card size resource is about getting an abnormal cervical screening (smear test) result. It explains the different results, further tests you may have, and how abnormal cells are treated. 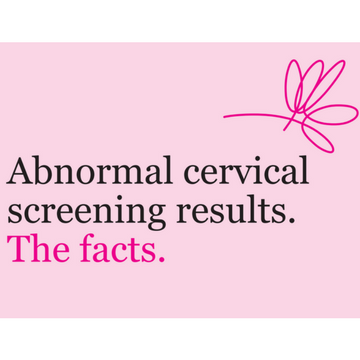 It includes general facts about abnormal cervical screening results in the UK. Last reviewed Jun 2016. Next review Jun 2019.